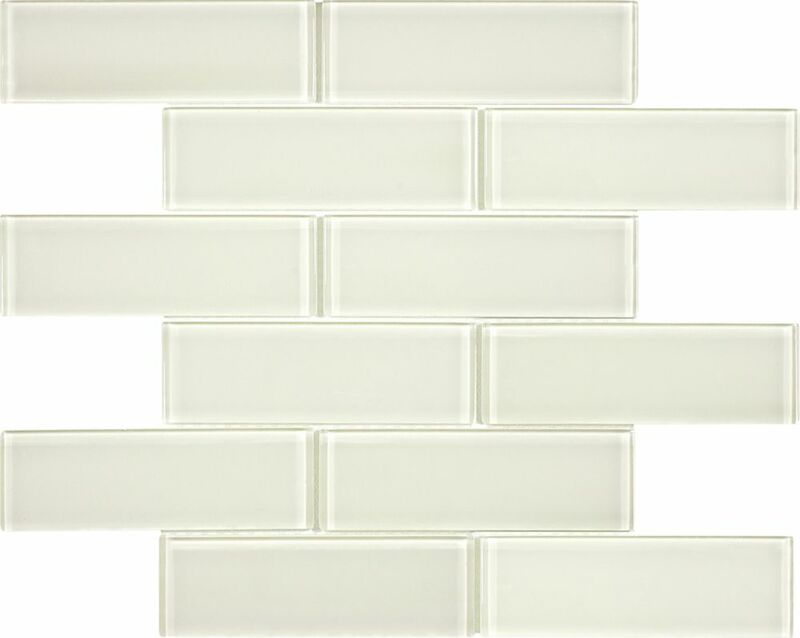 Boutique selection of glass subway tiles with contemporary, cool tones for trendy settings. Jeffrey Court's glass mosaic wall tile can be installed alongside stone or ceramic field tiles (sold separately) to create a coordinated look. Mesh-mounted Mosaics can be used as a whole sheet or cut to make affordable feature strips. Recommend white polymer-modified thin set and non-sanded grout for best installation results. Jeffrey Court's Glass mosaic tiles make a great complement to a wide variety of decorative styles, and add a level of design sophistication to any room. Glass mosaic tiles are great by themselves, or can be installed alongside stone or ceramic field tiles (sold separately) to create a coordinated look. Mesh-mounted glass mosaic tiles are easier to install than traditional tile formats and can be used as whole sheets, or cut to make inexpensive feature strips. Jeffrey Court Emperador Brick 12 in. x 12 in. Glass and Marble Mosaic Tile makes a great complement for a variety of decorative styles and adds a level of design sophistication to any decor. This mosaic can be installed alongside stone or ceramic field tiles (sold separately) to create a coordinated look. Penetrating sealers recommended before grouting. The Merola Tile Expressions Button White 12-1/2-inch x 12-3/4-inch x 7 mm Glass Mosaic Tile is constructed of recycled pressed glass. The small white buttons that are reminiscent of a traditional penny round feature mixed finishes for added dimension. With characteristics of unglazed porcelain tile, this mosaic is impervious and frost resistant. These mesh-mounted tiles offer a high durability rating that is great for any interior or exterior space. 2-inch x 6-inch Glass Brick Mosaic Tile in Coastal Ivory Boutique selection of glass subway tiles with contemporary, cool tones for trendy settings.